Ahoy! 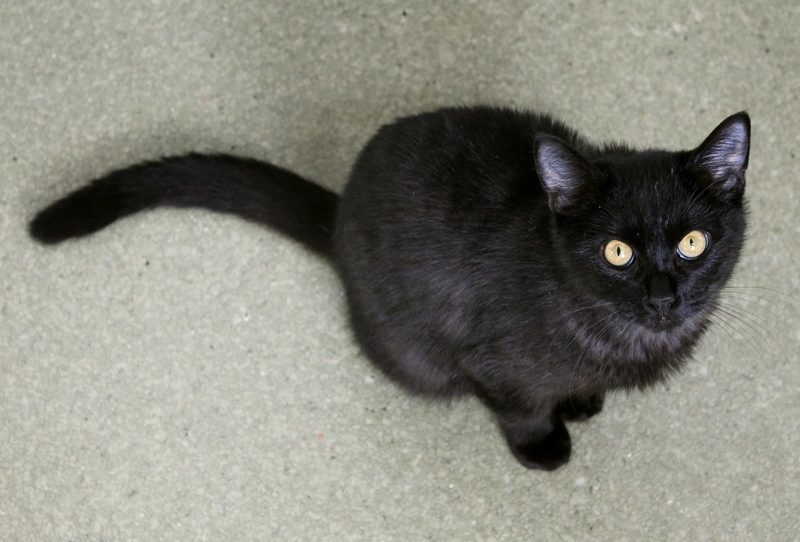 I am Al, the friendly 6-month-old boy kitten in need of a new home! I’m extremely social both with people and with other cats. I find anyone who wants to be my friend and will gladly snuggle with them, if they’ll allow it! I currently reside in the Pixie cattery and have already made friends with almost every kitty I’ve met in there, and will also gladly climb in to the lap of any human willing to sit down and visit with me. Like most kittens my age, I’m very playful and inquisitive, and will provide a lot of entertainment for my new family. Based on my behavior here at Pixie, I would definitely be happiest in a home with other pets and wouldn’t mind the activity of a family with kids — although I can be rambunctious, I am super gentle. I’m healthy, happy, and utterly adorable, and I know I will make some lucky people a wonderful new companion! Won’t you come in and meet me today? I can’t wait! I come to you fixed, vaccinated, and micro-chipped for an adoption fee of $100.